Mario Brothers Graphing and More! Use this great Super Mario Brothers Behavior Chart to complete your game theme classroom. Print on cardstock and glue to a poster board that has been cut in half and made vertical. This will allow you to put clothes pins on it and have the students move up and down. Laminate for durability. Enjoy! Use this as a way to post jobs in your Mario themed classroom. Print the flowers you want and stack them vertically on top of each other on your wall. Use clothes pins or laminate Mario characters with your students' names on them. A blank flower is included to make your own. This token board allows students to earn 10 Mario Brother's character (Princess Peach, Mario, Luigi, etc.) tokens to earn a break! Simply laminate, velcro, and adhere to a mini clipboard (if desired). BONUS token board included- a 4 piece Super Mario Brother's Puzzle Token Board. 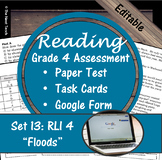 Use this cute banner to decorate your classroom. Print out in color and add these pennant flags to string. Print these labels on cardstock and laminate them so they can last. Use these to label your objectives on your board, word wall, and anything else around your room. 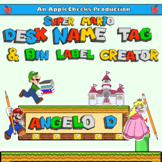 Use these Mario Brothers themed tags to get your students excited coming into 2nd grade. Just staple Mario Brothers gummies onto the tag and place one at each desk for your incoming students. 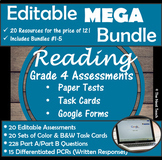 This pack includes practice of two digit addition and subtraction with regrouping as well as place value review with expanded form. Use this fun Mario Brothers border for your Bulletin Board and anythign else you need to outline. Print these fun Mario Brothers themed story elements posters to hang up in your classroom. This download is for our Super Mario Brothers Bulletin Board. You will receive all of the pieces shown on individual sheets. Everything is easy to cut out and customize. Enjoy! All I ask is that you become a follower of our store if you can. Thanks for taking the time to view our work. Super Mario themed number charts - EDITED! !